Another is the industry’s ongoing battles with the federal Environmental Protection Agency. “The challenges are clearly there, such as the accessibility to the seams. And we’ve risen to those challenges. 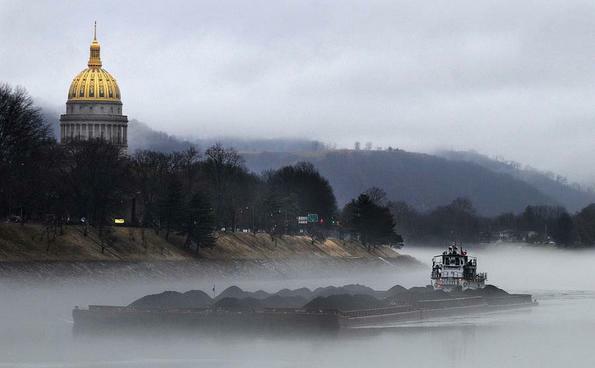 When you look at production, I think you’ll see we’re on the upswing compared to last year, up 2 or 3 percent,” said Bill Raney, president of the West Virginia Coal Association. “I continue to contend we have the best coal miners and coal mine managers in the world and they know how to address those challenges. “It’s remarkable to me there’s demand for our coal all over the world and yet the federal government seems to be doing everything they can to diminish the use of coal in this country, even though America has more coal than any other country in the world,” he said. Coal industry officials continue to try to frame this story as one where the evil Obama administration is the root of any problems the industry has, despite the clear evidence that market forecasters are saying the huge declines coming to Central Appalachian coal production are not driven by any EPA initiatives. Coalfield media folks aren’t necessarily cutting through this quite clearly enough yet — and they aren’t challenging public officials for a plan for how to deal with the impending problems. But looking at today’s Daily Mail — and last week’s State Journal editorial — it’s clear people are starting to catch on. There are other market factors besides the supply issue, and EPA regulations. In April, the Governor of California mandated that by 2020, one-third of CAs energy will come from renewables (one-third is approx. 17,000 megawatts). Apparently, CA will not be able to meet the mandate without out-of-state help. Hurdles include the vast amount of land needed for wind and solar energy, aka “energy sprawl,” and the massive amounts of steel needed for wind farms. Wyoming is aggressively courting CA to help meet the mandate with wind power. With the collapse of the coal industry just around the corner, where are all the wind and solar farms going up? We are going to need many if coal has only about three years left. Massive amounts of steel needed means high quality met. coal for steel production, of which W.V. has an abundance! If our coal is running out, why in the world are we shipping it to other countries, many of which are communist and do not have our best interests at heart? So many of the companies are so greedy that as the old saying goes, they would sell their souls to the devil for a dollar. Then they wrap themselves in the American flag and proclaim their patriotism. If coal is so important keep here in the states and use it for our own use, to make steel etc. I hate this shipping our non renewable resources to countries that don’t care one whit for us except for the billions of dollars they make off of our backs. Coal companies don’t need to blame anyone for their woes but themselves.